made with Basil, Cashew Nuts, Pecorino Cheese, Garlic, Salt , rapeseed oil and lemon juice. 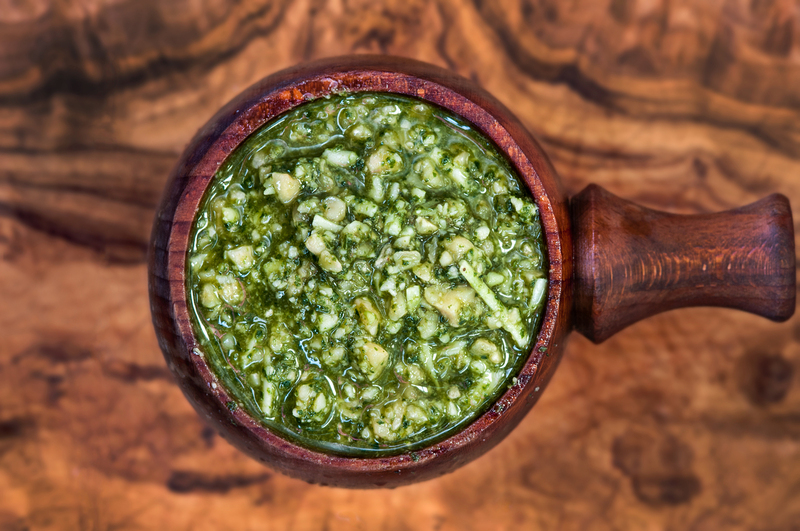 Our fresh basil pesto is so moreish, we use cashew nuts and pecorino cheese, making it more crunchy and less salty than the usual pesto. We keep it nice and chunky so that it can be slathered on fresh bread or mixed through pasta for a nice easy dinner that everyone can enjoy. Rapeseed Oil, CASHEW NUTS (30%), Fresh Basil (22%), PECORINO CHEESE (MILK) (7%), Garlic (2%), Lemon Juice, Salt.